Mainstream medicine tells us that the hepatitis B virus (HBV) causes liver cancer which is why it is so necessary for US newborns to be vaccinated within hours of birth. We are told that the human papillomavirus (HPV), which is supposedly so prevalent in our population, causes cervical cancer which is why there is such a push to vaccinate girls and boys in the US as early as 9 years old. Let's not forget about Simian Virus 40 (SV40) which is known to have contaminated polio vaccines and is associated with a wide variety of human cancers. Conventional wisdom tells us that viruses cause cancer. But is this true? Let's investigate the story further. The first recorded cases of HBV infection occurred following the administration of the smallpox vaccine containing human lymph to shipyard workers in Germany in 1883. HBV is transmitted through contact with infected bodily fluids. It is estimated that over 2 billion people worldwide have been infected and that approximately 350 million are chronic carriers. Chronic HBV infection is believed to cause up to 80% of all hepatocellular carcinomas. Sounds scary right? But when you look deeper you find that and, in the US, HBV is found predominantly adults who are either I.V. drug users or engaging in high-risk sexual behavior. The Center for Disease Control and Prevention (CDC) estimates that only 0.1-0.5 % of the US population are chronic carriers. This is due, in large part, to the fact that only about 5% of acute HBV infections ever become chronic. In other words, about 95% of people clear the infection and never become chronic carriers. But those who do become chronic carriers will definitely get liver cancer right? No. The CDC estimates that only about 25% of those with chronic HBV infection die prematurely from liver cancer or cirrhosis decades after the initial infection. Is it possible that over those decades, other factors could have caused or, at least contributed, to their liver disease? Ok, but if the mom tests positive for Hep B, her infant will definitely get infected right? Wrong again. According to the CDC, there is only a 10% chance that a mother who tests positive only for the Hep B surface antigen (s-antigen) will infect her baby. Additionally, does it make sense to indiscriminately vaccinate newborns if mothers have already tested negative for Hep B? It does if your motivation is ease of access. HPV is recognized by mainstream medical authorities as the most commonly sexually transmitted infection in the US with an estimated 20 million persons infected and over 6 million new infections annually. They state that in the 1980s, cervical cancer cells were discovered to contain HPV. Although there are more than 100 types of known HPV, only a few are considered oncogenic or cancer causing. Read the conclusion to "The Hidden Connection Behind Viruses, Vaccines and Cancer"
This page contains a single entry by sal published on January 29, 2013 2:36 PM. Oncologists Conceal Toxicity Issues and Bias was the previous entry in this blog. 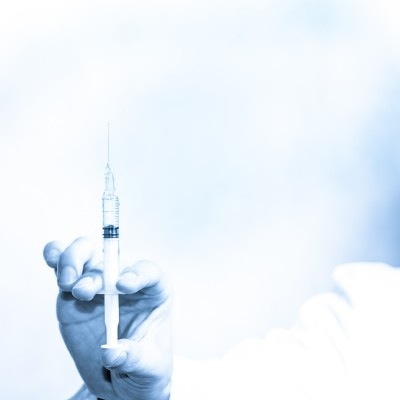 Tetanus Vaccine Causes New Disease: New Vaccines Worse? is the next entry in this blog.